The Greek Sisterhood Luncheon is a great way to bond with our sisters of the Divine Nine. If you are a member of Alpha Kappa Alpha Sorority, Inc., Delta Sigma Theta Sorority, Inc., Zeta Phi Beta Sorority, Inc., and Sigma Gamma Rho, Sorority, Inc., then you are invited to join us for an afternoon of Divine fun! 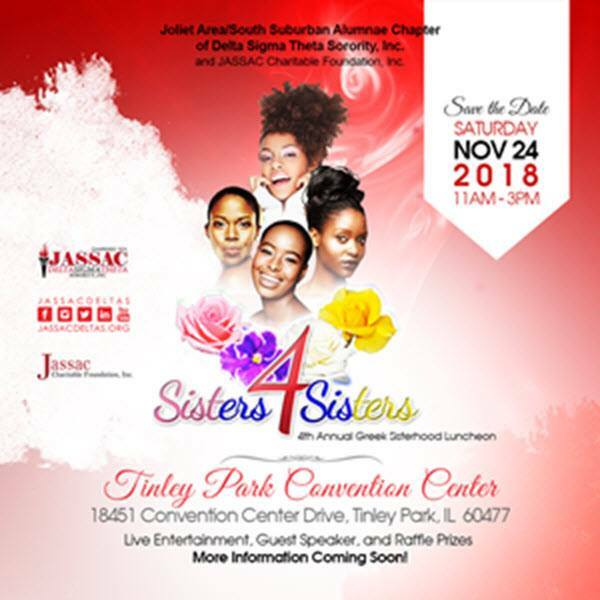 Ticket prices include: a delicious plated meal; live entertainment; access to vendors; and an amazing time celebrating sisterhood with fabulous women. We will also present a unity gift to all who attend. This is an event you don’t want to miss! Tickets will sell out quickly. Get your ticket today! Attire: Divine 9 Fabulous!